Have you been to Design Love Fest lately? The collection of phone and desktop wallpapers keeps expanding. Grab something pretty and spring-like right here! Ooohh... I definitely could use some spring today, after our 6+ inches of snow last night. Thanks! LOVE the painterly look and the awesome colors. Thanks for sharing! 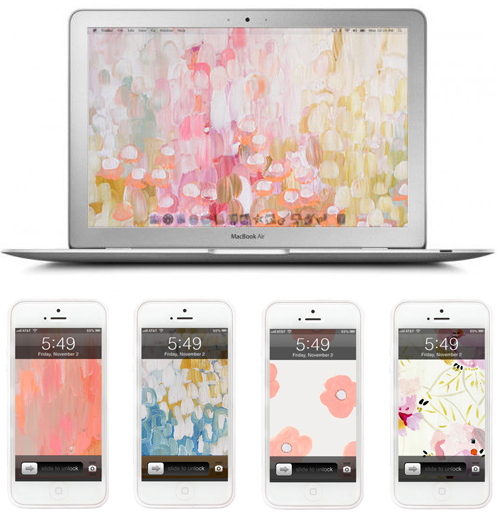 These are beautiful, just downloaded and feeling downright springy! Thanks!